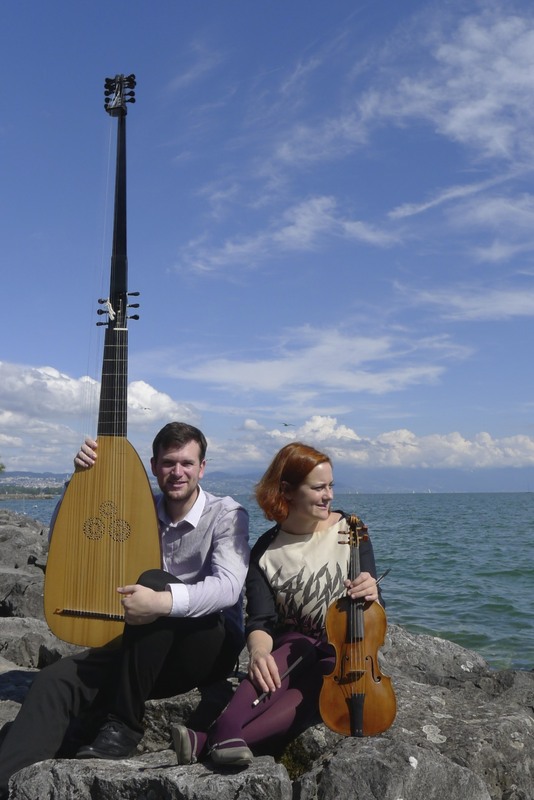 Ensemble Libro Primo: A fantastic classical violin and lute duo interpreting baroque composers. 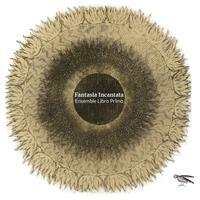 Ensemble Libro Primo is a truly fantastic classical duo interpreting Baroque composers. It consists of violonist Sabine Stoffer and lutenist Alex McCartney. The Swiss violinist Sabine Stoffer performs as a baroque violinist throughout Europe. She plays with different ensembles in the UK and abroad (Les Passions de l'Ame, Brecon Baroque, Le Concert d'Astrée, etc.) and is a member of the Ensemble Meridiana. Furthermore, her chamber music groups include the duo Libro I with the lutenist Alex McCartney, the Otium Ensemble and The Poker Band Club. She also plays regularly as a leader with La Nuova Musica. Sabine's career as a chamber musician has taken her to many festivals, such as the Lufthansa Festival of Baroque Music London, the Händel Festspiele Göttingen, the York Early Music Festival, the Festival Oude Muziek Utrecht and the Davos Festival young artists in concert. Together with the clarinetist Nils Kohler she organises the music festival Kapellenkonzerte in the Kulturkapelle Biglen (CH). Sabine is the winner of the Kiefer Hablitzel Stiftung 2008, the Marianne und Curt Dienemann - Stiftung 2008, the Steinitz Bach Prize 2009 and the 'Göttinger Reihe Historischer Musik' 2010/11 of the Händel - Gesellschaft Göttingen (with Meridiana). In 2011 she received the Coup de Coeur award for the promotion of young musicians from her hometown canton of Berne. Alex McCartney has a performing schedule which takes him to concert halls across the world. Alex is a resident artist with his own record label Veterum Musica. In 2015 he released his debut solo album Mésangeau's Experiments to critical acclaim: "McCartney's interpretation of this reflective music is stylish and sublime." [LSA]. His second solo album Elizabeth's Lutes (released in June 2016) was similarly well received: "Alex McCartney's playing is sensitive and musical, and the recording picks up the sound of the lute very well." [Early Music Review]. His latest album Toccata: Touched; theorbo music by Kapsberger was released January 2017. Alex is also a BBC Introducing artist and performs occasionally on BBC Radio 3. Alex performs as a soloist with artists such as Iestyn Davies, Ensemble Libro Primo, Ensemble Marsyas, The Gabrieli Consort, Cupid and Death, La Nuova Musica, and Poeticall Musicke. As a continuo player Alex's playing has been described as "sinewy and sensuous, ornaments rarely exaggerated" [Observer]. He holds principal positions in La Nuova Musica and Poeticall Musicke and is delighted to perform regularly with all the other UK-based baroque orchestras. Alex is a life member of The Royal Society of Musicians. He teaches the lute at the University of Aberdeen and at home in Glasgow. He has also created an Online Lute Tutorial. In his spare time Alex enjoys making lutes. Ensemble Libro Primo lives in York, England. Tagged as: Classical, Baroque, Instrumental Classical, Composer: Biagio Marini, Composer: Giovanni Antonio Pandolfi Mealli, Composer: Giovanni Buonaventura Viviani, Composer: Heinrich Ignaz Franz Biber von Bibern, Composer: Johann Hieronymus Kapsberger, Composer: Nicola Matteis, Lute, Violin.